We’ve been hosting more & more family gatherings at our house and this year might be our first time hosting Thanksgiving! 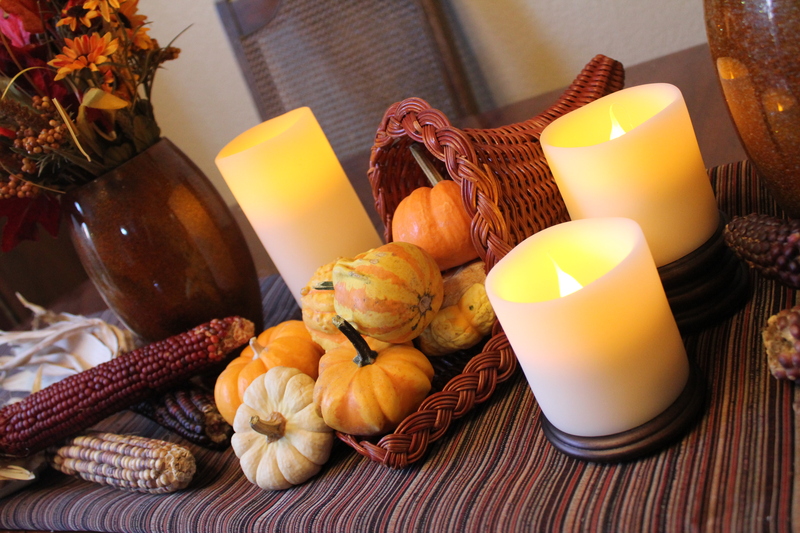 And, while the food is definitely the center of attention at the Thanksgiving table, I figured it might be nice to have some pretty decor too! 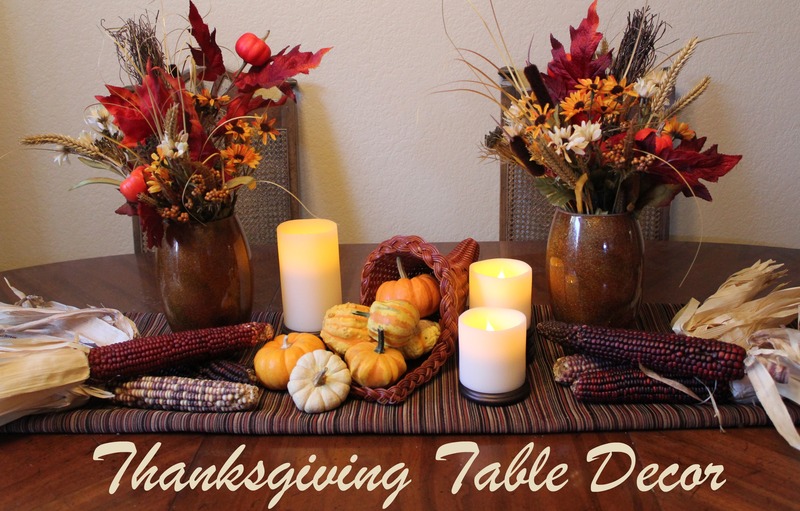 So, I got to work on putting together some Thanksgiving Table Decor! For the display, I made a fabric table runner from remnants matching our curtain valences, filled a small wicker cornucopia with mini gourds (purchased at Lowe’s), laid out some Indian Corn (purchased at Lowe’s), made candle stands for GE Flameless Candles, and made vases out of the pendant glass pieces for some assorted fall (silk) flowers. – various mini gourds/pumpkins, Indian Corn, fall foliage, etc. Remove labels from the two pendant glass pieces (I had to use Goo-gone to get them off). Hot glue one caster cup to the bottom of each of the glass pieces for added stability. That’s it!! 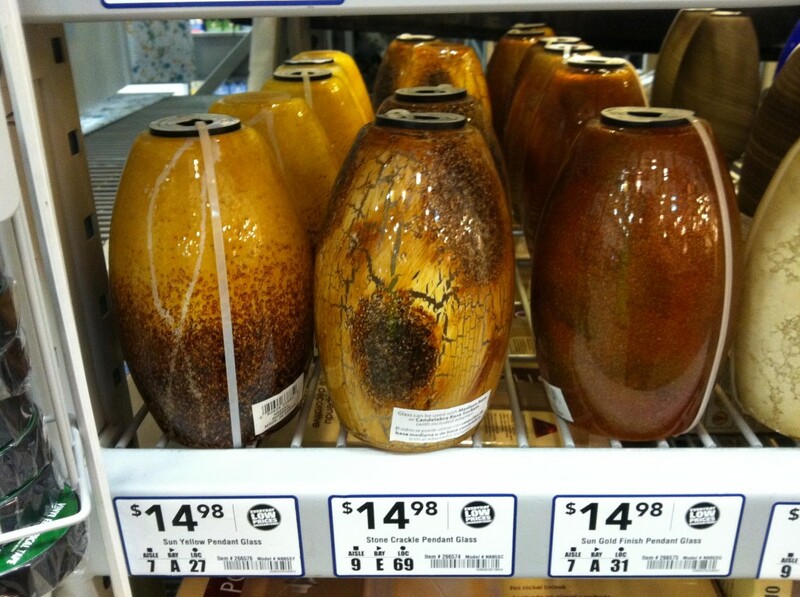 Just note, these wouldn’t be suitable for fresh flowers with water! But, they’re perfect for the silk variety. I love how pretty & unique they look! This is SO easy! Just pull out the wire hooks and hot glue the curtain clip rings together. Seriously, that’s it! I made a two-ring stand for the tallest candle, a three-ring stand for the shortest candle, and I just used one ring for the medium-sized candle. Then, just set the LED candles on top of the stands. And, that’s the beauty of it, you can make them as tall or short as you like. 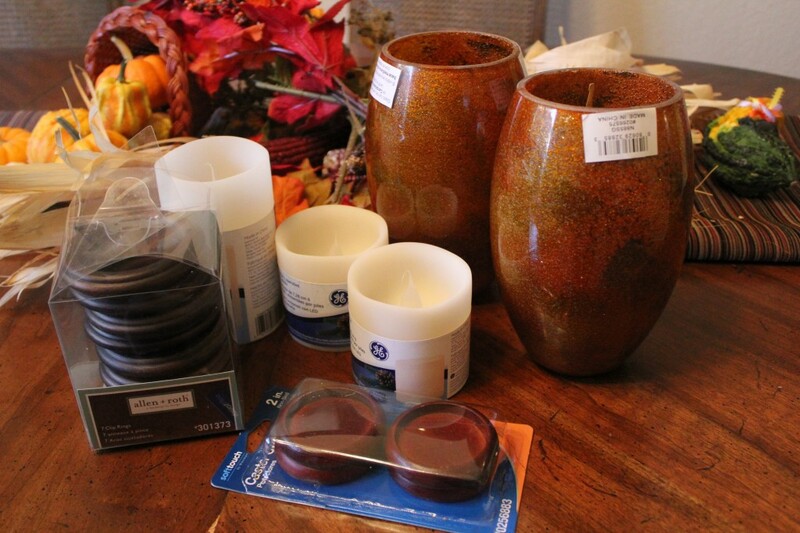 You could also tie some pretty fall/Thanksgiving-ish around the base of the candles. The thing I love about this project is that they could then be reused at Christmastime! I love the completed look! 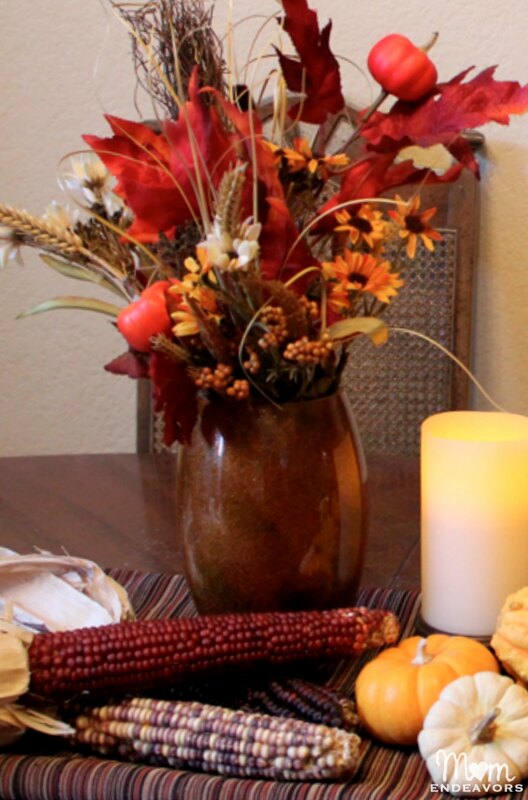 What Thanksgiving decor do YOU have up? 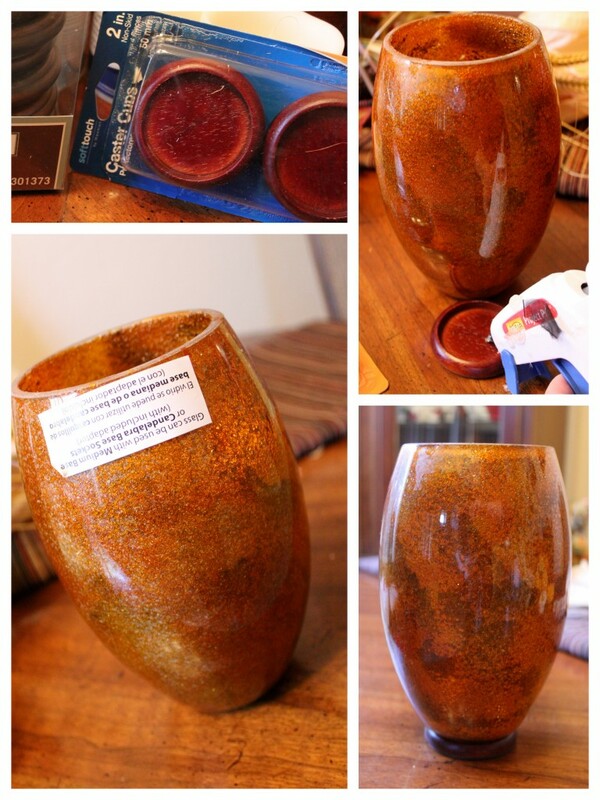 For more ideas, check out the Lowes Creative Ideas site – they also have a great facebook page full of ideas! « College Football Saturday Tailgate: Nebraska Game Day! Very pretty, I don’t know where you find the time to make all of these beautiful things. You must be a good organizer of your time. Happy Thanksgiving to you and your family. 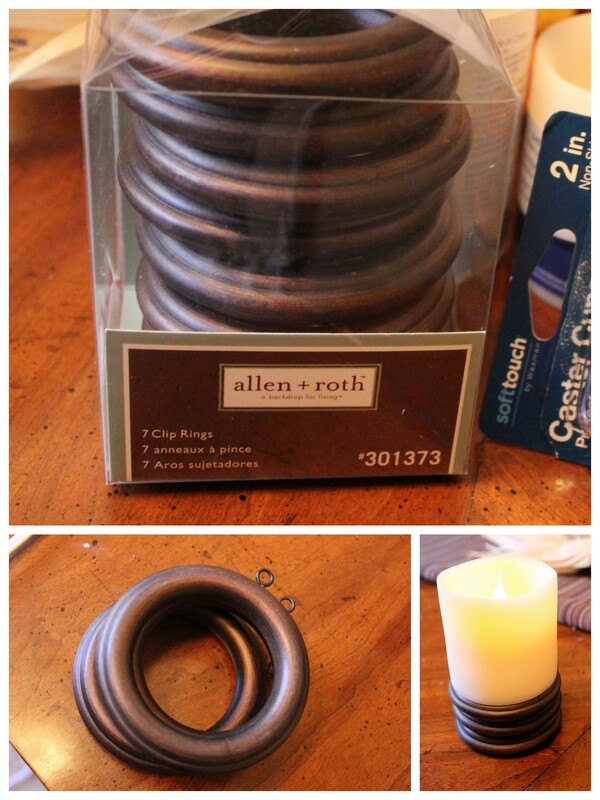 I would of never thought to use candle rings as a candle stand! Way to go on using your imagination! They look awesome! Our readers will enjoy discovering your blog.